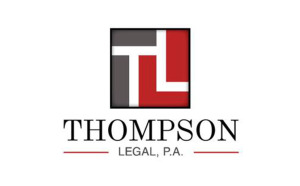 Thompson Legal is a law firm which offers personalized and high quality legal representation to individuals in the South Florida Area. Thompson Legal, P.A. is known as an aggressive litigation law firm. Whether that litigation is for personal injury cases, real estate cases, business v. business disputes, or PIP cases, attorneys Steve Thompson and Stephanie Taylor have worked hard to build a reputation as attorneys who prefer to fight for their client’s best interest in Court. Many attorneys and law firms avoid litigation and going to Court. Believe it or not, there are even some personal injury attorneys who don’t file lawsuits or haven’t seen the inside of a Courtroom in years. We believe that it is impossible to get the best results for our clients without being a regular presence in Court, especially when it comes to personal injury. Map of Thompson Legal, P.A.